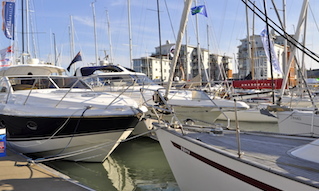 The cause of many leisure vessel incidents in Cowes Harbour can be traced back to just a couple of key factors, lack of proper preparation and planning. Being lost or not knowing a berth’s location. By planning your passage you will also discover where there may be speed and wash restrictions; it’s like knowing where all the speed cameras are and slowing down so that you don’t get a ticket. Plan where you are going, how you will get there safely and by the correct routes. Know your draft and the likely depths you may encounter on the route, or if you wander off track. Check the tides for your planned route. Check that all your charts / navigation aids (echo sounder, plotter, GPS etc.) are working, up-to-date and that you know how to use them. Check your communications equipment is working correctly and have relevant contact numbers to hand. Take someone with you who also knows how to use the equipment / drive the boat. If you plan to be out alone, ensure you tell someone when and where you are going and what time you will arrive / return. Check that you have enough fuel to get there and back, allowing extra for a change of plans or emergencies. Check the oil / water in your engine and ensure it is properly maintained. Check that your bilge pump works. Check that your steering works. Check that the vessel is not taking on water. Make sure you have suitable lifesaving equipment for your trip (lifejacket, life buoy, method of making a distress signal). Check the weather forecast and any applicable vessel traffic information for your route. Check / plot your position at regular intervals to make sure you are on the planned route and not heading into danger. Keep a good lookout by sight and by hearing and by all available means. Monitor weather and vessel traffic reports for your area / route. 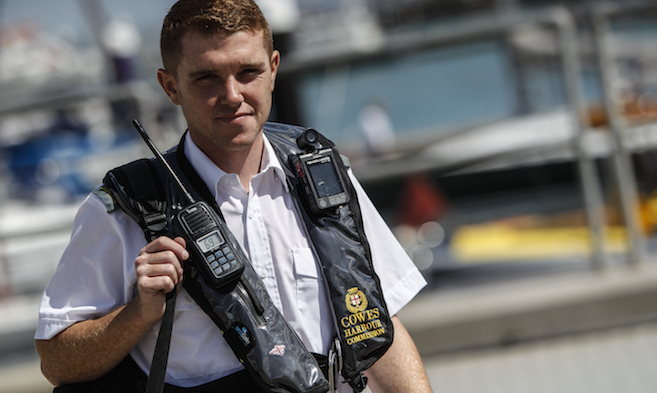 If out on your own, report back to your shore contact at regular intervals. If your plans change whilst you are out, take some time to plan the new route and assess all potential risks. The yacht was not safely manned or operated as the skipper was the only qualified, professional seafarer on board, and there was no dedicated navigator with responsibility for passage planning and execution. 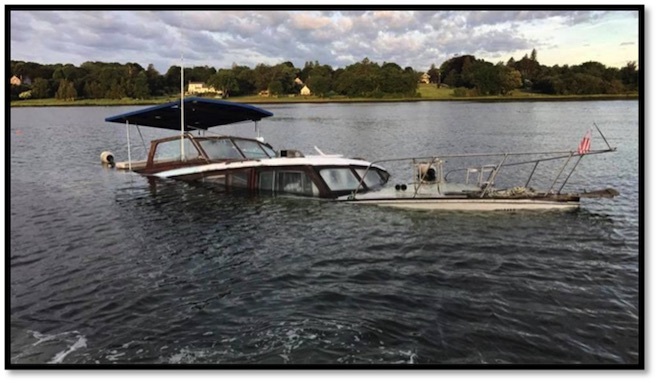 There was not an effective plan for the yacht’s coastal passage and, when unexpectedly close inshore, the skipper became distracted from navigation by the requirement to supervise the crew on deck. 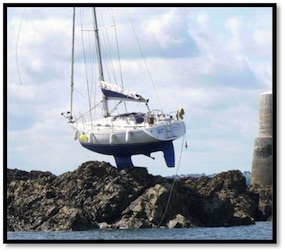 The loss of this yacht could have been easily avoided through proper preparation and planning; a professional mate to oversee safe navigation and to stand-in for the skipper should they become ill or incapacitated, an effective passage plan accounting for possible risks, a crew member assigned to plot and confirm a position at regular intervals to see if they had been heading into danger, and an alarm set on the echo sounder. These are all simple things that could have averted the grounding and subsequent loss of the vessel. The MAIB investigation report into the incident makes interesting reading including what happened, safety lessons learned and recommendations. 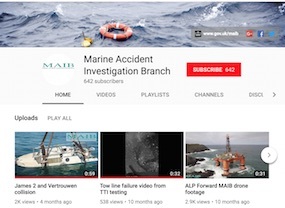 Additionally, the MAIB has a good YouTube channel with a wide variety of informative videos of marine incidents. For more detailed information on lessons learned, go to the MAIB’s reports, which can usefully be viewed according to vessel and report type. 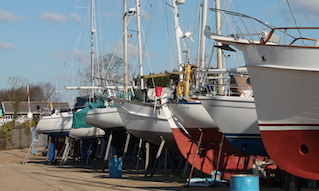 The MAIB also have an email alert subscription facility, where you can select the type of incident report alerts relevant to you, whether that is for a merchant vessel, fishing vessel, sail or power leisure craft. 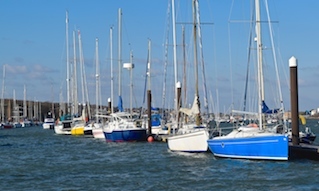 Please remember, for those who are unfortunate enough to be involved in or witness to an incident in Cowes Harbour and the River Medina, you are required to report it to CHC so that we may pass on lessons learned to others and hopefully avoid a recurrence.